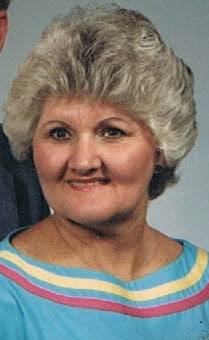 Jean Porter Acker, 82, wife of Louis Clifton Acker of 2925 Shady Grove Rd., died Friday, November 16, 2018 at Rainey Hospice House. Born in Chester County, she was the daughter of the late Reece Craig and Macie Morrison Porter. She earned her Bachelor Degree from Erskine College and retired from teaching after 30 years with Pickens Elementary School and Ben Haygood Elementary School. She was a member of the ADK Teacher’s Sorority and Shady Grove Baptist Church. Surviving in addition to her husband of the home are: son, Craig Acker (Roxanne Tommin Acker) of Honea Path; daughter, Renee Acker Craddock of Tigerville, SC; sister, Linda Porter Ratterree (Ted) of Richburg, SC; grandchildren, Ryan Craddock, Kevin Welborn, Rebecca Craddock, Camille Craddock, Christopher Ty Stone and Michael Cory Stone. Service will be held 12pm Tuesday at Shady Grove Baptist Church with Rev. Daryle Hawthorne officiating. Burial will follow at Shady Grove Baptist Church Cemetery. The family will receive friends prior to the service Tuesday from 10:30am until 11:45pm at the church. Flowers are accepted or memorials may be made to Hospice of the Upstate, 1835 Rogers Rd., Anderson, SC 29621.